Will the gold connectors make me type faster and also make me worthy of owning a mechanical keyboards since I'll be able to hit 100wpm? On my GON which doesn't have gold connector cable, I reach 150. Surprise color is best color. 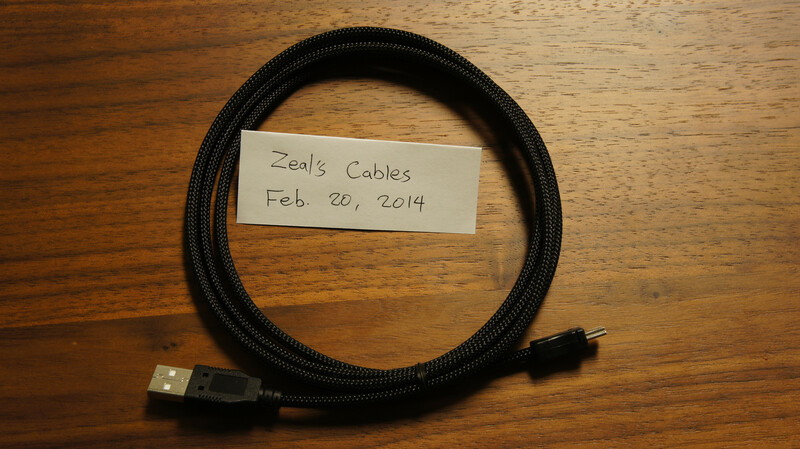 "Wait, but Zeal, I ordered 3 cables!" Good thing you picked Expedited USA, huh? ...I'll try my best to get orders done by tomorrow. Well, stayed overtime to get yesterday's orders done. 11:15pm! Look at how pure and #LEGITBALLIN #GOLD it looks!! ALL zombros wanted: dead or undead or dead-dead. You're free to place an order! P.S. Threading coreless paracord is a nightmare. I may have to get an all gold cable. So baller. Oh wow, Zeal, I'm between shifts right now but inc PM for some paracord stuff. riot, tbc, junkimchi, m1_account - your orders were dropped off before cutoff time for same business day processing. tbc, you /may/ have a mailman come by on Saturday. Canada post has delivered a couple mails on Saturdays for whatever reason. 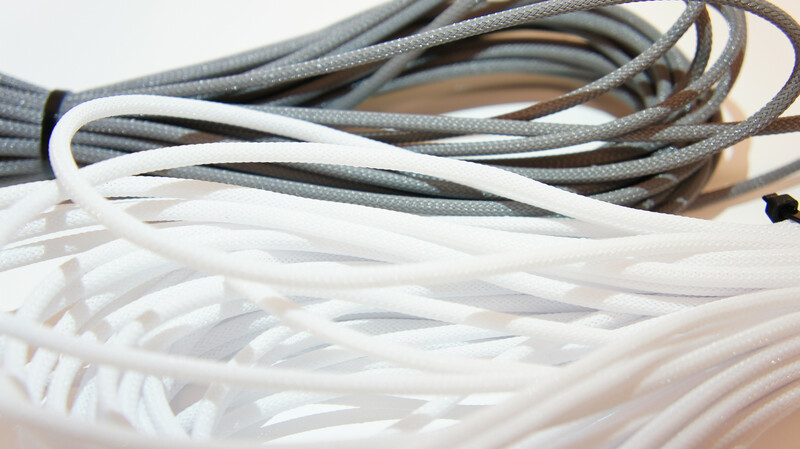 Sleeving coreless paracord is a PITA. 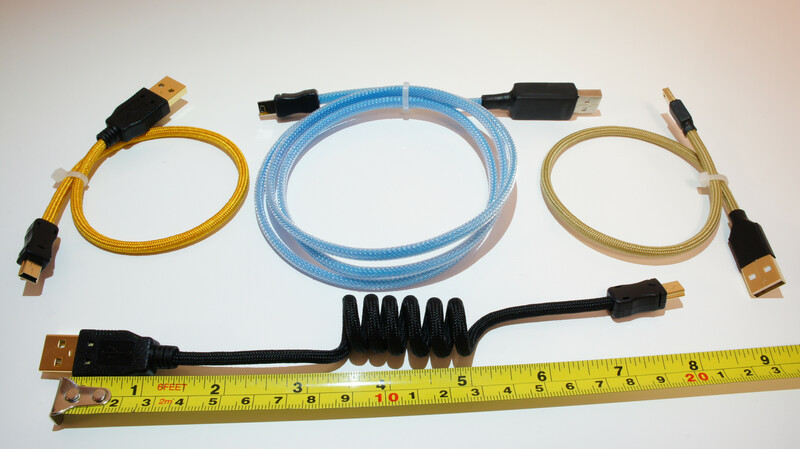 Since 32/34 of my paracord colours have no innards, they don't come pre-stretched so every cable is _extremely_ snug. 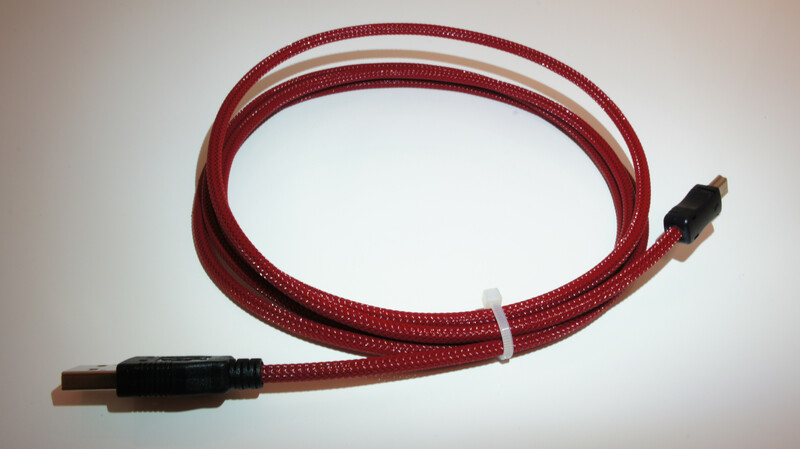 You were the first one to order paracord sleeves...and it took a really long time to thread the cord over the cables. they look pretty good from here lol. GJ! out of all my bling cables here and incoming, the shopping bag handle one still takes the cake I say. sifo is jealous of my gold gold gold bling cable...i win. 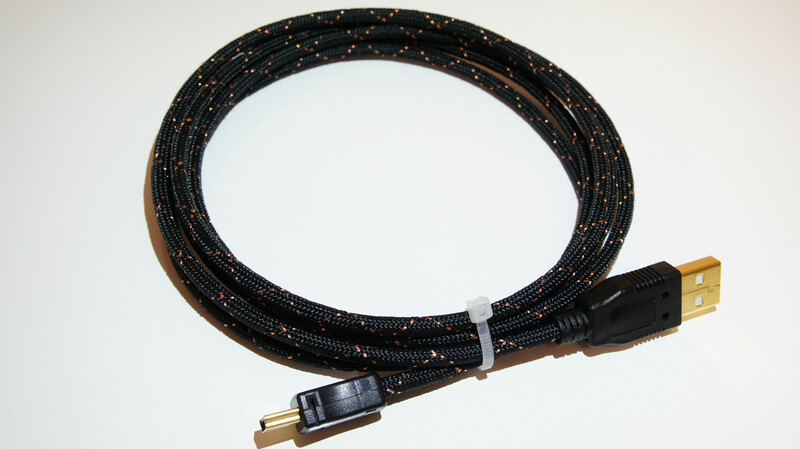 Ok, here's a crazy thought... Would your paracord show any light through for those Light cables? At least faintly in the dark? My current fave is Neon Turquoise with Clear over it from your last sample photograph, but some of those lights underneath would be super neat (probably in green). I'm doubtful, but there /may/ be a slight inside glow. 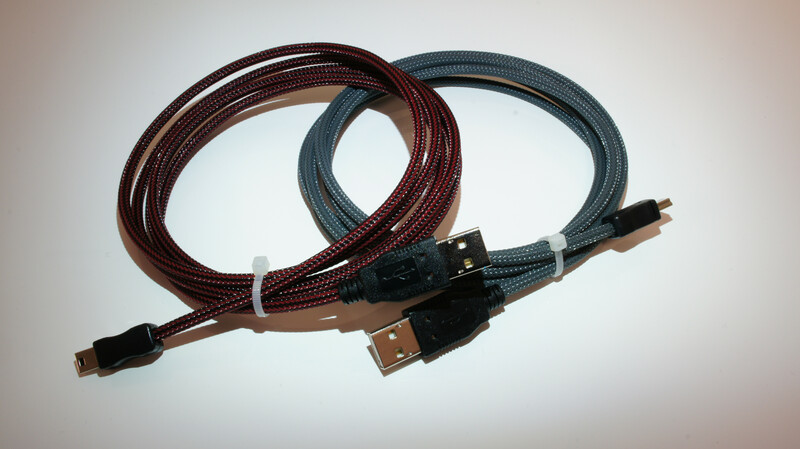 I sold 5/6 light cables, with only 1 red left. 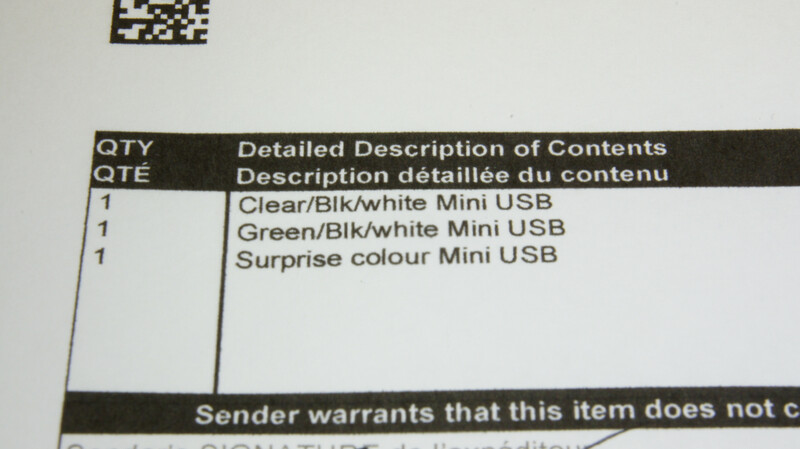 I should be receiving 10x red/green/blue light cables this week though (already customs cleared in Canada )! Would be cool if it did let light through. At least plastic aqua over a green light cable with clear over that. But paracord with clear over would be nicer. 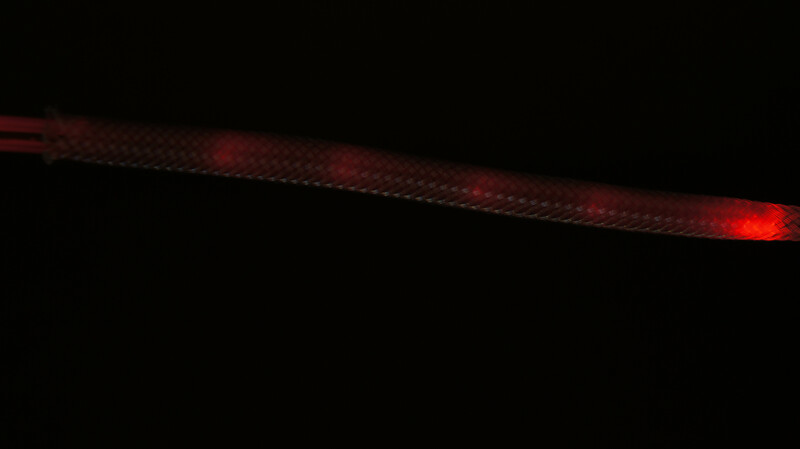 Well, just tested my red light cable w/ Imperial Red paracord + Clear sleeve ontop and it did shine through, but it's very subtle. Green light + Neon Turquoise + Clear sleeve should shine through as well! any plans for clear plastic mini usb + fullsize plugs? 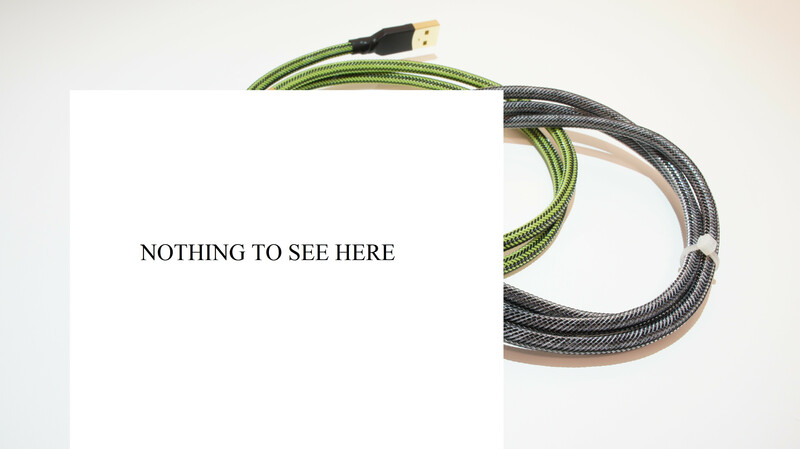 That's great news I think I should do green (when you have it) light cable + neon turquoise paracord + clear on top with gray shrink wrap in place of plastic housings (unless other interesting housings come in soon) Thank you for all your photographs! You can 3D print me a couple clear mini usb housings! I'll try and find clear USB A housings. 3 of 4 Packages have entered US and departed ISC SF. Who's cable will come first? 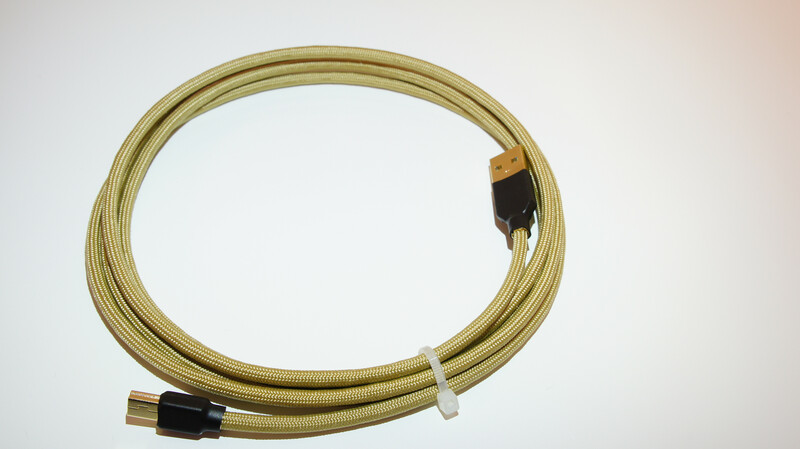 That cable will be $30 CAD including shipping. Please PM me your Paypal email, thanks! got my little gnome army of cables this morning! Using a coiled cable as cable management! & that BC 1 Day shipping. 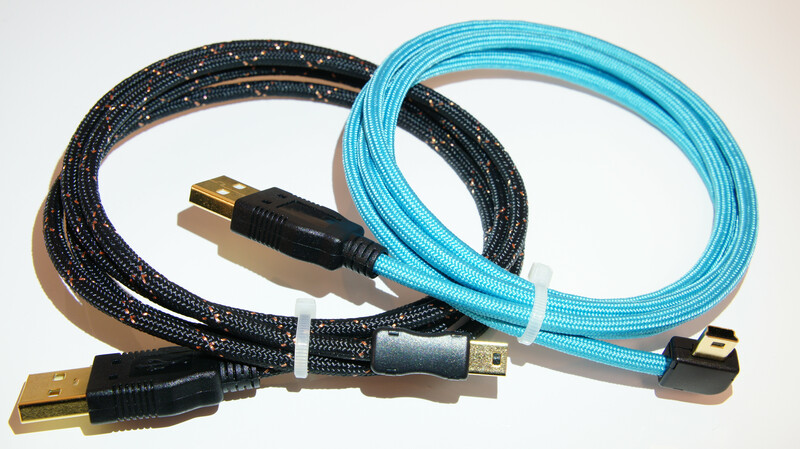 [6ft Gold Plated] Black w/ copper wires Paracord Mini USB - $25 Really amazing looking ! Would you be willing to pay $25 for Next day DHL Express delivery? Oooo. Instant gratification at it's finest. That sounds much better than the 2-4 week wait mimic is currently having. What do you think would look good with a white HHKB? Well, I haven't filled out the papers with DHL, but I'm trying my best to negotiate for lower shipping rates. All orders mailed at the PO before 5pm PST enter USA next day (10minutes away from Canada Post's main sorting centre . So far all items have been delivered within 3-5 business days. 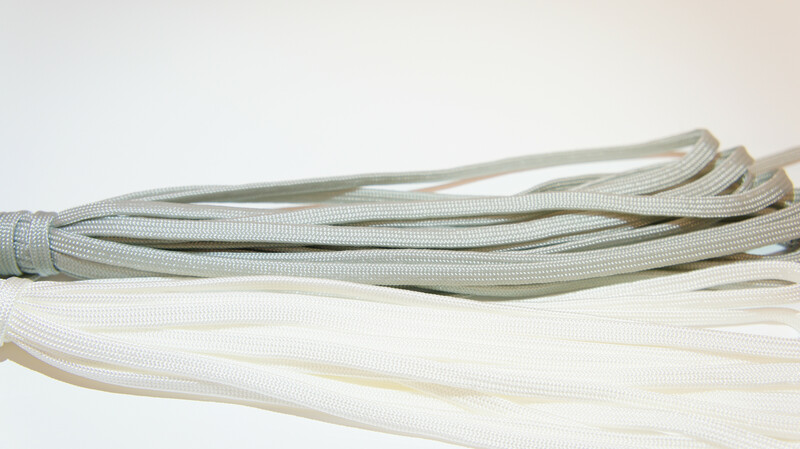 As for matching cable for a white HHKB, you can choose Pearly white Paracrod, Silver Gray Paracord, or Gray Plastic sleeve/Triple White Plastic sleeve, with gold plated connectors! ... with gold plated connectors! Do the gold plated connectors come in right angle variants I know you had some "normal" 90deg ones earlier. 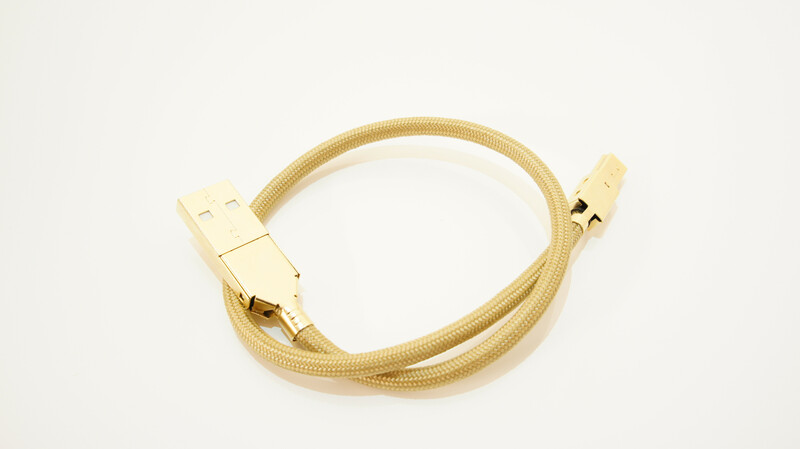 Do the gold plated connectors come in right angle varieties? I know you had some "normal" 90deg ones earlier. Thanks. Both the bottom cords look good. The upper ones are a little too grey for my tastes. I guess I will PM you sometime soon. Looking forward to your order! If you could also submit an order here instead of PMing me a custom order, it would help make the process smoother. Thanks in advance! Must you post these? Am I now forced to buy another cable because of how good they look? You could be the first person to order regular gray! No one has ever ordered one to this date (theyall order dark gray)! I'd recommend Double/Triple sleeve if you want that vibrant white. 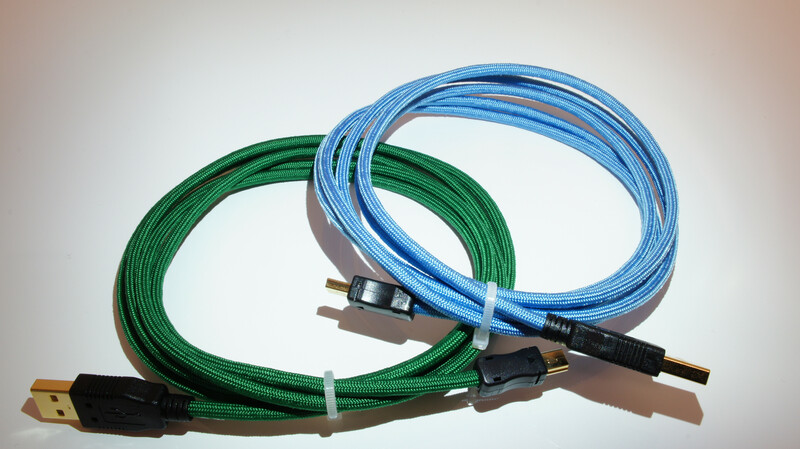 I have 10x Red, 10x Green, and 10x Blue 3ft Light cables coming in today! 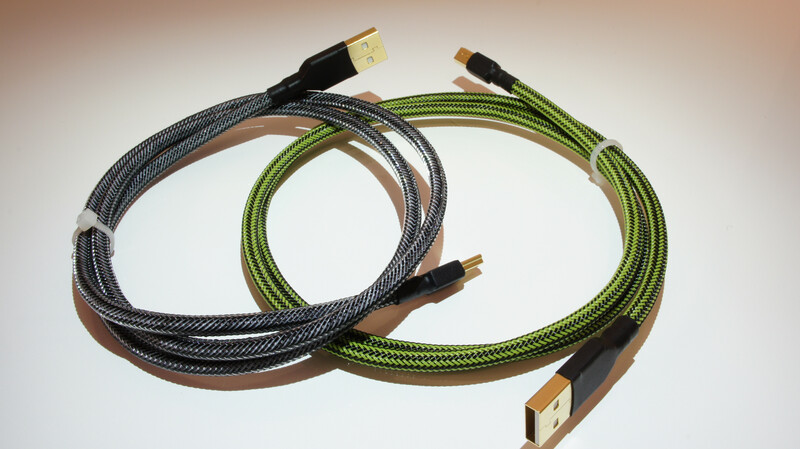 My cables look beautiful Zeal! I'll message you about shipping later. Are the springs already in? Page created in 0.111 seconds with 78 queries.